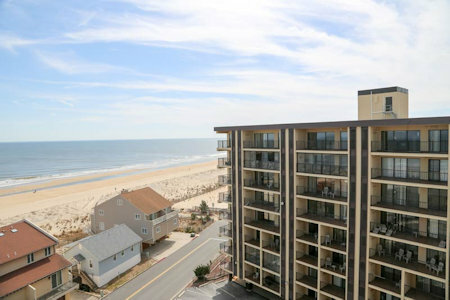 Enjoy a 7 Night Stay at the Sea Time in Ocean City, Maryland in a 1 or 3 Bedroom Suite! 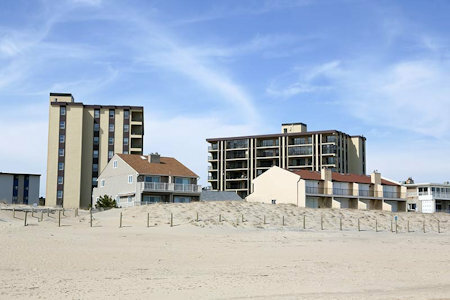 Sea Time is located less than a block from the beach in North Ocean City. During the summer enjoy the resort's outdoor pool and children's pool. During the winter months, (mid-September - mid-May) enjoy the cover-ed heated pool and an all-adult exercise and whirlpool/sauna room. 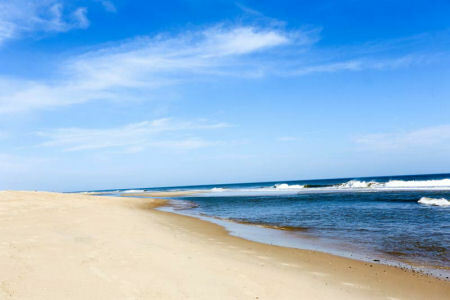 The Atlantic Ocean promises a variety of water activities such as boating, sailing, and wind-surfing. Marinas near the resort offer charter boats for deep-sea fishing. Close by you'll find golf, miniature golf, bi-cycling and tennis. At the southern end of Ocean City--the Boardwalk. Four miles south is Frontier Town. SeaTime Condominium has one and three bedroom units. Our one-bedroom units are approximately 675 square feet and with one bedroom, one bathroom, living room and a full kitchen. They are furnished with two double beds in the bedroom and a queen sleeper sofa in the living room; they can accommodate 4-6 persons. Our three bedroom units are approximately 1,350 square feet and have three bedrooms, two and a half bathrooms, living room and full kitchen. They are furnished with a king size bed in 2 of the bedrooms and two double beds in the third bedroom and a queen sleeper sofa in the living room; they can accommodate 8–10 persons. 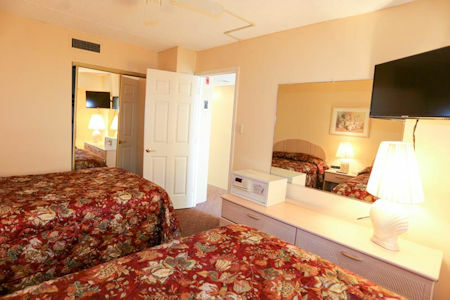 All our units are equipped with a full size stove, refrigerator, and dishwasher. Also all units have a washer and dryer, microwave, coffee maker, dishes, utensils and cookware. Units have wall-to-wall carpeting and central heating & air-conditioning. 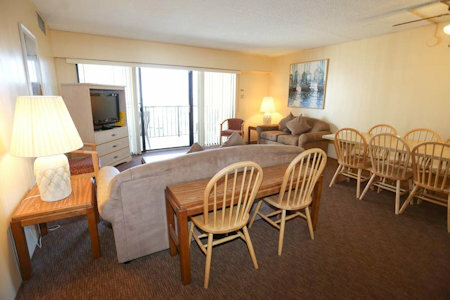 One-bedroom units have two color TV’s and three bedroom units have four TV’s. The living room TV’s are equipped DVD players. All units have private telephones. All units have FREE wireless internet service. Your 1 BEDROOM SUITE will sleep up to 6 guests and comes with a full kitchen. 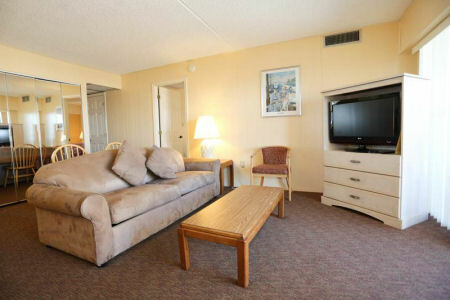 OR UPGRADE TO A 3 BEDROOM SUITE FOR ONLY $100 FOR THE WEEK!